Government and opposition parties arrived at a consensus on the nomination of caretaker Prime Minister on Saturday but the name will be announced on Tuesday, May 22. The caretaker prime minister will take charge shortly after the government’s term comes to a close on May 31. According to a source, a consultation session was held to finalize the names proposed for the top slot. In addition to the caretaker PM, two sides also held consultations about the nomination of chief ministers. Shah also said that there was no restriction on the gender of the candidate. It could be a male or female, he said. He further said it was not necessary that one of the candidates being discussed on the media was the one finalized for the position. “We are making efforts to reach a consensus on an uncontroversial candidate,” he said. “The candidate’s name will be announced after I meet the prime minister on Tuesday.” A consultation session was also underway to decide on the candidates for the caretaker federal cabinet. The incumbent government also solicited suggestions for a caretaker chief minister in Punjab from Pakistan People’s Party. 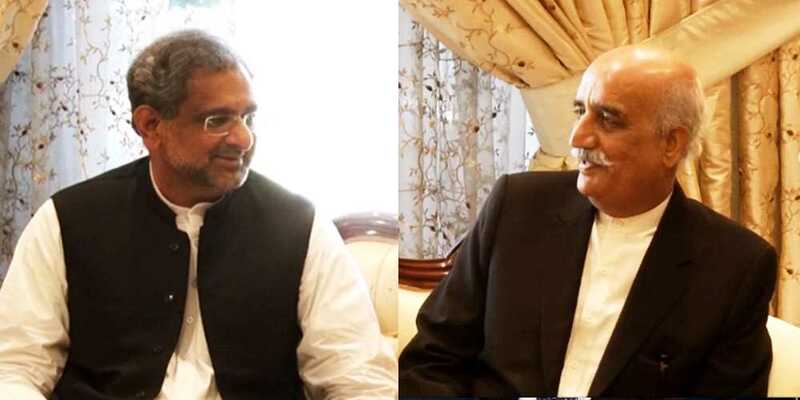 The prime minister and Opposition Leader in the National Assembly Khursheed Shah also consulted over the caretaker chief ministers for Sindh and Balochistan.